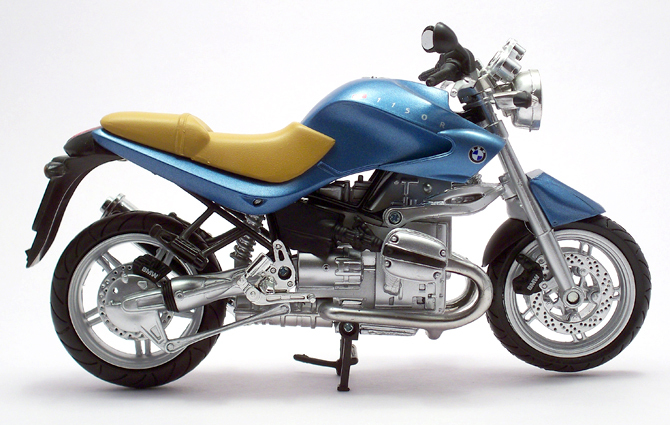 BMW produced R1150R as a no nonsense and all business naked bike from 2001 to 2006. Known for its comfortable ride and compact dimension makes it perfect tool for blasting down the back roads or for every day commuting. 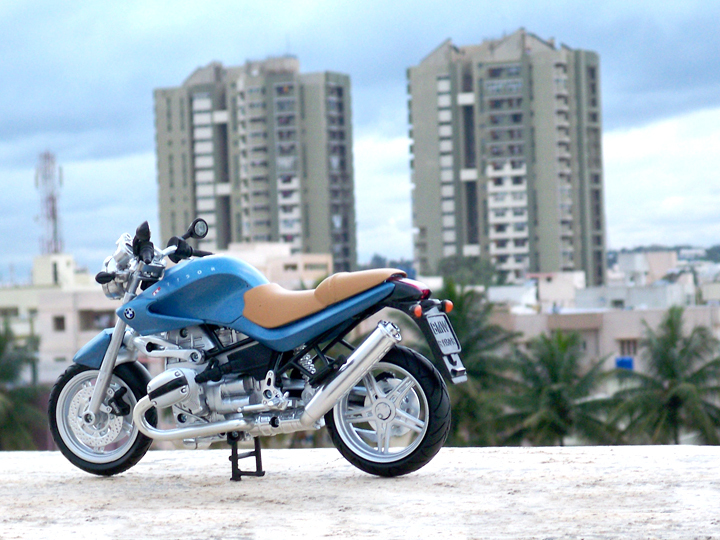 Plenty of torque, short wheelbase and upright seating position all defines the R1150R characteristics. 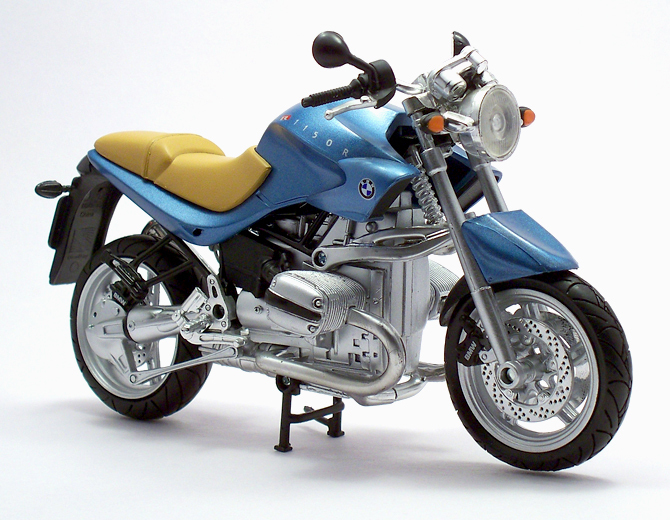 The BMW R1150R has an 1130cc, air and oil cooled, 2 cylinder, 4 stroke Boxer engine capable of developing 85bhp and maximum torque of 96nm. 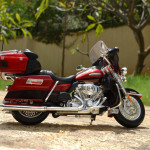 Its weighs 281kg which means its not a light weight bike but a serious cruiser with incredible torque for quick get away. 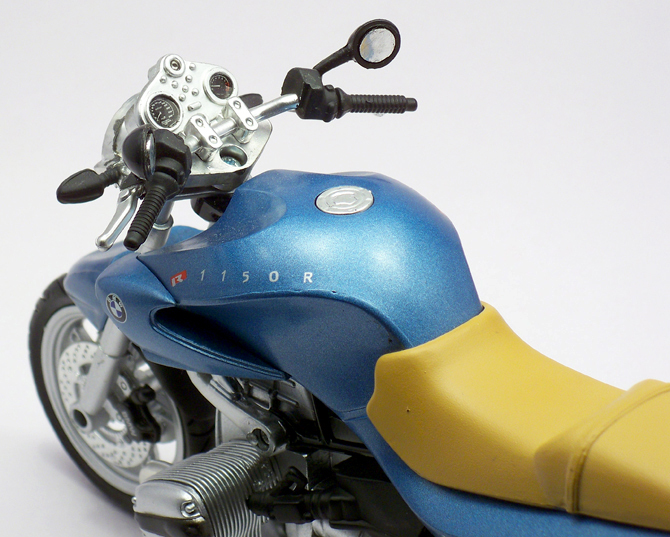 Being a naked bike the diecasters have to work extra hard to produce better output. 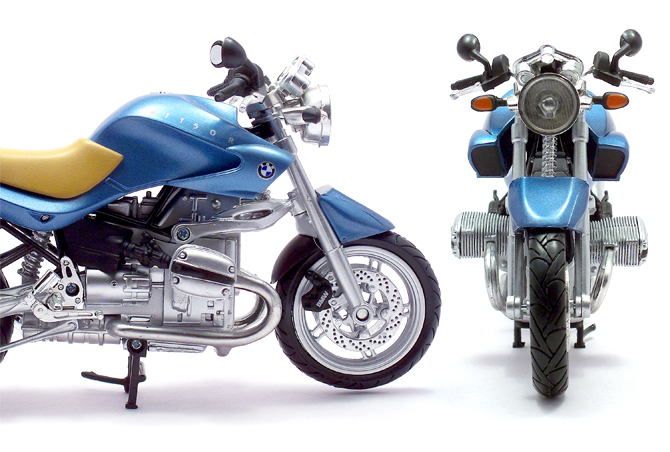 Like all other boxer engined BMW bike the engine is the most important and the most aesthetically appealing part of this model. 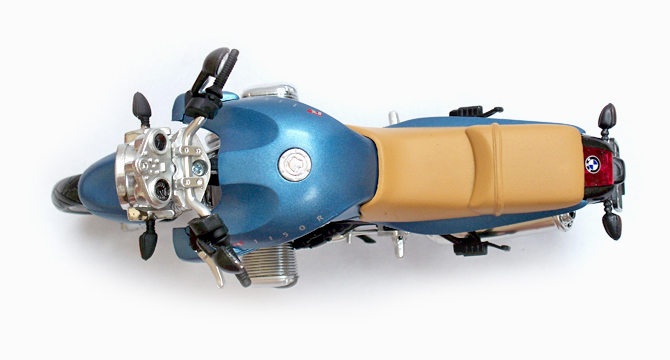 Properly sized and finished in a nice aluminum shade enhances the other attached pieces like front swing arm and the shaft drive system. 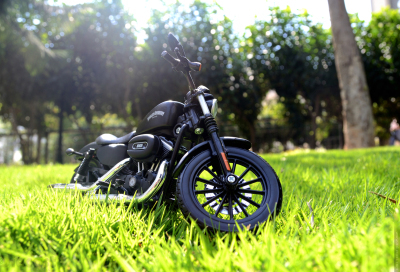 The paint and finish comes next to the engine because it’s the nature of any naked bike where engine places a vital role in overall aesthetics of the bike. 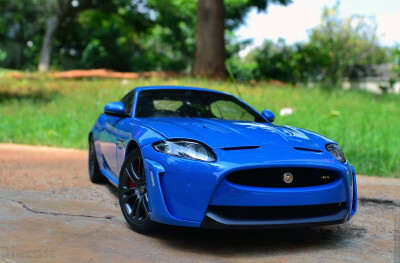 The blue is very cool and with beige seats it looks like a carefully crafted ‘Monster’ on wheels. NewRay guys deserve a bravo for the color variation of different materials. Black, chrome, aluminum combination work magic in the looks department starting from the engine casing to the handle bar units. 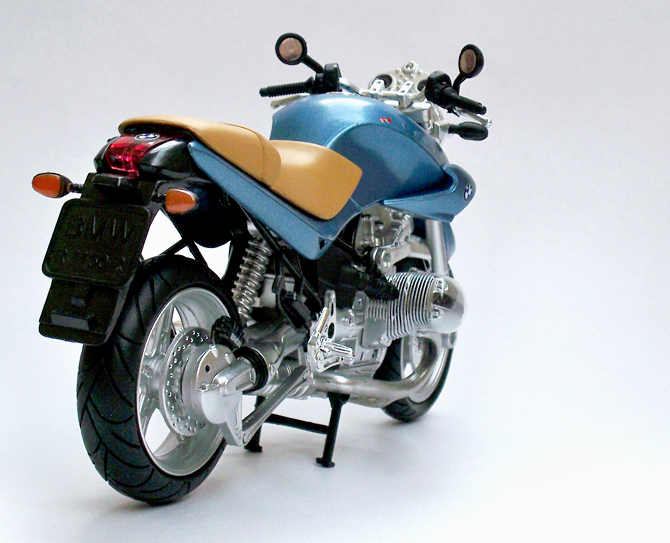 The tires and alloys wheels only scores a nominally due to some poor pattern and missing depth in the overall execution. The suspension both front and back are made of molded material not a real spring as in Maisto. Graphics though very few are really worst. The instrument console and dials are neat but can secure only average scores. 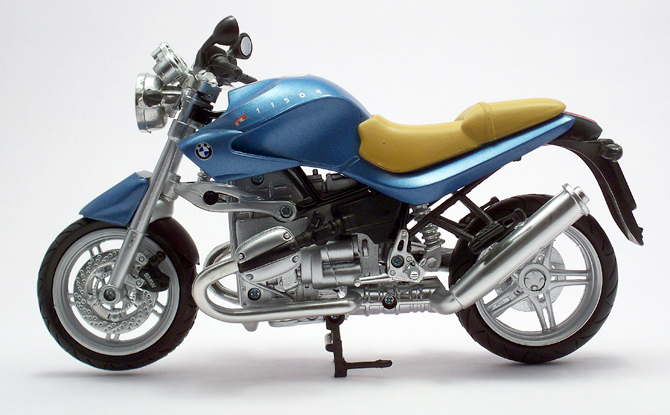 Overall a model to have if you are a BMW bike collector and don’t worry about any detailing. I would call it buy from heart not from head.